As a Music Director, Vocal and Entertainment Coach, composer and performer, Laura Kessler’s life and career path have consistently blended creativity with business. With a Master of Music degree from New York University and a B.A. in Organizational Communication, Laura is also a certified Life & Career Coach whose ability to relate to people on both sides of the entertainment business has brought her unique success in New York, Chicago, London and Europe. Born and raised in Dayton, Ohio, Laura began performing around the age of 10 as an accompanist for her mother, a classically trained Lyric Soprano. Soon their community shows featured her as a soloist, and she began to debut her original compositions. While in high school, she dabbled in a few basement bands before deciding to major in Communications and Video at the Ohio State University. Though her focus had shifted to public relations, marketing and television, Laura continued to hone her skills as a musician and composer, and began composing music for film and video, while writing columns for two state-wide publications. After graduating, Laura worked in London from 1994-95 where she began her private teaching practice on the side initially, while working for British agencies and community television studios. Her work composing music for independent film eventually became the impetus to move to New York to pursue a Master of Music degree at NYU. Focusing on Composition, Film Scoring and Music Technology studies, Laura interned, and was later hired by BMG Entertainment in 1998 (BMG Intl. A&R / Windham Hill) in addition to numerous other positions in the New York entertainment scene dealing with Rock, R&B, Hip Hop, and New Age/World music. She performed throughout Europe and New York, on tour with the International New Music Consortium and Dancer/Choreographer Laurie Behunin-Maus at this time, while beginning to coach artists on the management of their careers. After learning the ropes of the professional music scene, Laura made the conscious decision to depart from the bureaucracy of the entertainment business in 2000 and carve her own vision of what artists can create and contribute to society. 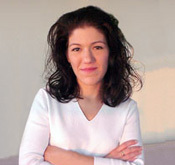 Her own compositional work flourished under collaborations with award-winning NY Director and Playwright Maureen Barnes (Mourning to Morning, Anchor Arts, Discovery Channel), and she served as Resident Artist/Educational Consultant to a Magnet High School for the Arts between 2000-2001, incorporating the arts into every day lesson plans for at-risk youth. In 2002, Laura relocated to her current home in Chicago where she expanded her performing, teaching and consulting practice full-time, while partnering with actors and improvisers in the Chicago theater community. Since 2003, she has been a Music Director and adjunct faculty member for the Second City Training Center, and has taught Music Improv and Comedic songwriting to students at the Second City Conservatory and Columbia College. She has music-directed numerous theatrical productions and has coached musicians, actors and business executives on music, vocal and career issues. Her marketing and scouting work have also continued to expand as she has lent her skills to the brief CBS revival of Star Search, and continues to counsel independent record labels and recording artists throughout the U.S. and Canada. Laura’s collaborations with New York artists and directors have continued to grow as she made her NY directing debut in 2006 with Mourning to Morning (Sept. 11th 5-year perspective) at the Manhattan Dramatists Guild, and enjoyed two successful New York theater runs of Cream Of The Corp, a musical comedy she developed with Kimberly Weeks. In the fall of 2007, Laura was privileged to work with the United States Air Force Heartland of America Band at Offutt Air Force Base on their positive mission of providing hope, patriotism and entertainment to our troops, veterans and civilians. More recently, Laura served as a Dialect Coach on the remake of the movie Fame (2009) by MGM / Lakeshore Entertainment. As a professional artist, Laura thoroughly understands that success in the industry is 50% talent and 50% business savvy, and she is genuinely passionate about helping other artists achieve independence and excellence in their careers, while staying true to both their personal and artistic integrity.